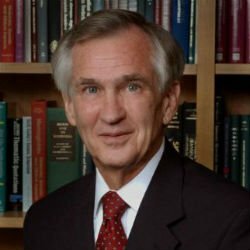 Edward Benz Jr. MD, is recognized by the American Health Doctor for “Best in Medicine” for his longstanding dedication to improving others’ lives. Currently the president and CEO emeritus of Dana — Farber Cancer Institute in Boston, Mass., Dr. Benz oversees all operations within the institute daily. While he has held his current role for an outstanding 17 years, Dr. Benz has spent the last two decades expanding his skills and knowledge in molecular genetics and hematology. With a desire to provide the best patient care possible, Dr. Benz decided to pursue a career in the medical field to improve patient-doctor care. After earning a bachelor’s degree in biology from Princeton University in 1968, he earned a medical degree from Harvard Medical School in 1973. He served as an associate professor in several departments at Yale School of Medicine from 1979 to 1987, and later that year, he earned a master’s degree from Yale University. During the following five years, he simultaneously served as a professor of internal medicine and human genetics, and associate chairman for academic affairs at Yale School of Medicine. By 1993, he took on the role of adjunct professor of biological sciences at Carnegie Mellon University, and also served as professor of molecular genetics and biochemistry at the University of Pittsburg School of Medicine until 1995. Dr. Benz’s career continued as he accepted the professor and director of the Department of Medicine position at Johns Hopkins School of Medicine from 1995 to 2000. He then returned to his alma mater, Harvard Medical School, where he became the faculty dean for Oncology from 2000 to 2008, and has served as the institution’s Richard and Susan Smith professor of medicine since 2000. While taking on the role of professor of pathology and genetics at Harvard Medical School, Dr. Benz also leads Dana — Farber Cancer Institute as its president and CEO emeritus, where he trains, educates, conducts research and acts as a principal investigator. He implements policies and ensures that patient care is optimal. Among his many accomplishments, Dr. Benz is proud to hold a board certification in internal medicine and hematology, as well as hold the title of associate editor of the New England Journal of Medicine. He is also proud to have written over 300 peer-reviewed publications during the course of his career. His repertoire includes an impressive list of accolades, including the Margaret L. Kripke Legend Award from the Anderson Cancer Center in 2011; the Mentoring Award in Basic Science from the American Society of Hematology in 2007; the Honorary Member from Tinsley Harrison Physician-Scientist in Medicine Society Vanderbilt University in 2007; the First Prize for Textbooks from the British Medicine Society in 2005; the Royal Society of Medicine Book Award from the Royal Society of Medicine in 2003; he served as a fellow in the American College of Physicians in 1992; he completed the Markey Fellowship at Mount Desert Island Biological Laboratories in 1988; The Tibor Greenwalt Scientific Lectureship at the American Association of Blood Banks in 1986; he received the Edward Paradisio Research Grant from the Cooley’s Anemia Foundation in 1985; he received the Research Career Development Award from the National Institutes of Health in 1982; the Basil O’Connor Award from the March of Dimes National Foundation in 1980; the Young Investigator Award from the National Institutes of Health in 1979; the Leon Resnick Award for Undergraduate Research in 1973; the Boylston Society Award from Princeton University in 1973 and received the Soma Weiss Memorial Award for Undergraduate Research in 1972. Dr. Benz belongs to the Phi Betta Kappa Honor Society, the National Academy of Medicine, the American Society of Hematology and the American Association of Clinical Research. In his free time, he enjoys playing tennis, traveling, reading and spending time with his wife, Margaret. Dr. Benz plans to continue to enjoy a rewarding career by promoting growth in his current role, mentoring others and continue to conduct research on various topics. Ever since Sidney Farber, MD, pioneered chemical therapies to treat children with leukemia in 1947, Dana-Farber has forged a groundbreaking path: 70+ years of research discovery and innovation have revolutionized cancer diagnosis and treatment, for the benefit of all our patients, adult and pediatric. All its clinicians – radiologists, pathologists, medical oncologists, surgeons, radiation oncologists and nursing staff – have deep experience treating your particular type of cancer. The institute partners with two of the world’s highest-ranked hospitals – Brigham and Women’s Hospital and Boston Children’s Hospital – to provide complete and integrated care for our adult patients and pediatric patients.